People associate a lot of things with October: Playoff baseball, crisp fall weather, pumpkin spice-flavored everything, and of course, scary movies. For the past several years I have made a point of watching a marathon of horror films in the days before Halloween. At a certain point though, you get sick of watching the same old slasher movies your friends would brag about seeing in elementary school. I began branching out into what I discovered to be the nearly infinite amount of different genres of horror films: Italian horror, psychological horror, horror comedy, splatter gore, invasion horror. 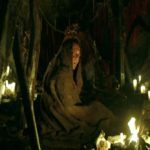 These different movies offered a very unique take on the horror genre and really opened up what the term “scary movie” actually meant to me. Don’t get me wrong, these movies can be terrifying, but they do offer a lot more than simple scares in their storytelling. 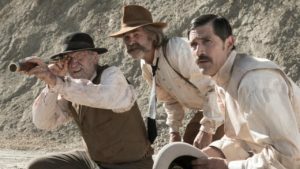 Bone Tomahawk (2015) – There are even Western horror movies! Except for some choice scenes, this film is a true Western in every sense of the word. The film follows a group of lawmen led by Kurt Russell who are on a mission to rescue some peaceful townsfolk from prehistoric-appearing cavemen. There are gorgeous wide open shots of panoramic western plains that make you almost forget you are watching what is classified as a horror movie. Indeed, after the somewhat brutal opening scene the movie eschews nearly all standard horror elements until the film’s finale. 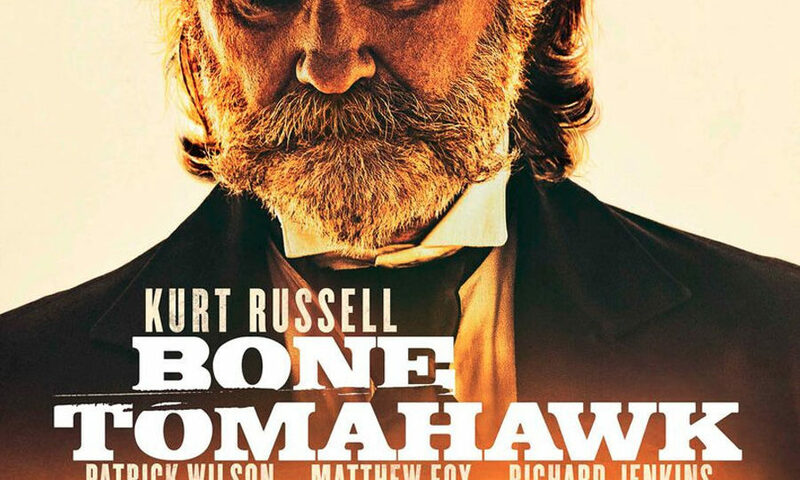 The movie is not titled Bone Tomahawk for nothing though. The title object features as the tool of destruction in all of the films grisly bits. These include one scene that, without exaggeration is the single most physically graphic moment I have ever witnessed on film. Don’t say I didn’t warn you. Violence aside however, this movie is still worth a watch for both horror fans and seasoned western watchers alike. Just skip the above mentioned scene. Deathgasm (2015) – Ah yes, the old metal-splatter-horror-comedy subgenre. As its name implies, Deathgasm is a movie not to be taken too seriously. As crazy as it may sound, a movie about two metal heads from New Zealand who accidentally summon an entity from Hell is actually quite silly, and even sweet. Oh yeah and there is a lot of blood. It is called Deathgasm after all. 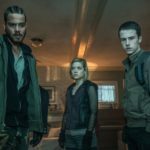 The core characters play well off of each other for occasional dialogue and story-driven moments, but the majority of the film is driven by a kinetic energy reminiscent of, well, a death metal track. They Look Like People (2015) – This low budget pyschological horror film plays the most like a straight scary movie, but is also incredibly emotionally affecting. It followes a young man named Wyatt who believes that the people around him are turning into monsters that (name drop!) look like people. At the core of the movie is the relationship between Wyatt and his best friend Christian. As Wyatt struggles between his paranoia and preparing himself for the coming invasion, he must decide whether or not to help his friend even though Christian may be a monster himself. The film is very quiet and decisive in its scary moments, which amplifies their effectiveness and builds to a climax that is as heart stopping as it is heart wrenching. 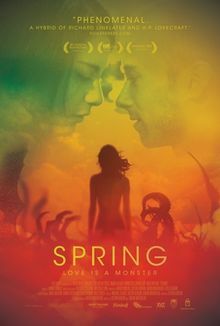 Spring (2014) – What do you get when you combine low-impact yet high caliber dialogue with body horror reminiscent of The Fly? You get Spring, a romantic horror film. Yes, romantic horror films exist. Imagine crossing this year’s Sundance Festival hit Southside with You with John Carpenter’s The Thing. Stretching into even more adventurous territory is Spring , the story a man named Evan who takes a winding vacation to Italy. In his travels, he meets and eventually falls for Louise, a student studying in the field of genetics. That genetics major comes in handy for Louise because it turns out she has bouts of turning into horrific monsters every so often. Other than that, she is a total catch. The movie earns its points in the genuine relationship it builds between Evan and Louise. The viewer completely understands why Evan would stay and offer to help Louise near the end of the film rather than go back home and run away from the challenges she presents. Holidays (2016) – Anthology horror films are notoriously unbalanced, which should surprise no one. If you get multiple directors together for a film there are sure to be some masterful segments as well as a few floppy duds. Holidays contains eight short films that pay homage to some of the more disturbing elements of our favorite times of the year. The standout segment is Anthony Scott Burns’ Father’s Day. In the short film, a young woman named Carol receives a cassette tape from her father who she previously thought was dead. The tape contains directions from her father on how to find him as well as an explanation for why he had to leave. 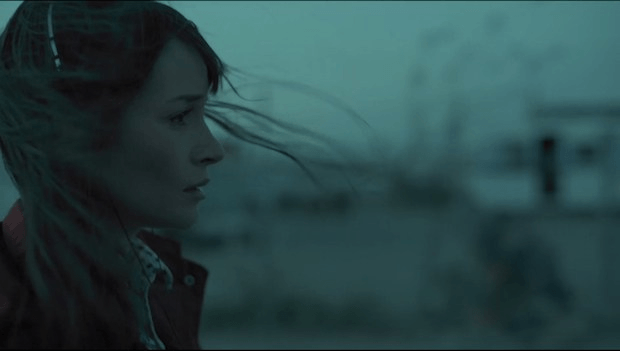 Jocelin Donahue gives an emotional and nearly silent performance as a daughter who is simultaneously stunned, grieved, and hopeful at the prospect of finding her father. Likewise Michael Gross is a standout talent as the perfectly pitched dad, lending an air of fatherly love as well as morbid longing to his voice portrayal of Carol’s father. The conclusion of Father’s Day is left ambiguous, but this does not lessen the impact of the segment as a whole. I absolutely hate when people get down on horror movies. With such a tremendous variety to choose from, everyone can find one that matches their taste. If none of these worked for you, don’t worry. I’ll be back with more choice horror gems later this month. Happy scary movie month! Watch and Talk is a column about movies. It seeks to not only review movies, but to simply talk about them. Watch and Talk looks at the various cultural impacts and aspects that movies can have. Watch and Talk: Why Do We Like Horror?